This is my first Birthday Cake. i made it for my sister ^___^. This is mega cute! How big is it? I bet your sister loved it! And she can keep it forever! ^^ the diameter is 7 cm..
Sooooooo CUTE!! love it!!! You are really talented!! 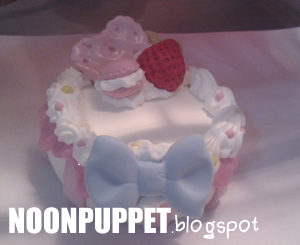 » [New Merch] Sailor Moon Birthday Cakes!